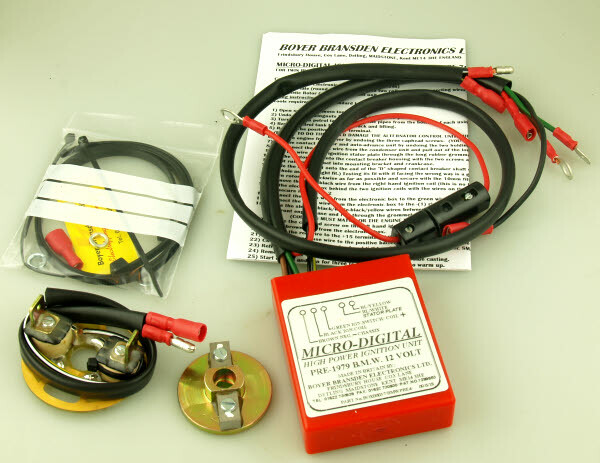 BOYER BRANSDEN manufacture all sorts of useful electronics for us. Excellent quality and service. TROUBLE? 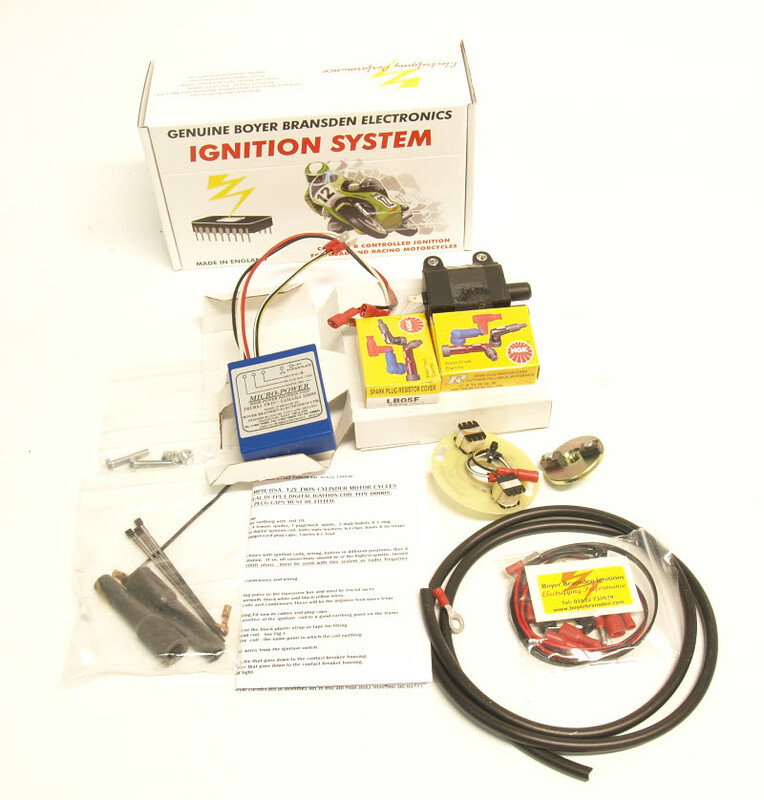 In 99% of all cases is not the ignition at fault, but a lame connection. 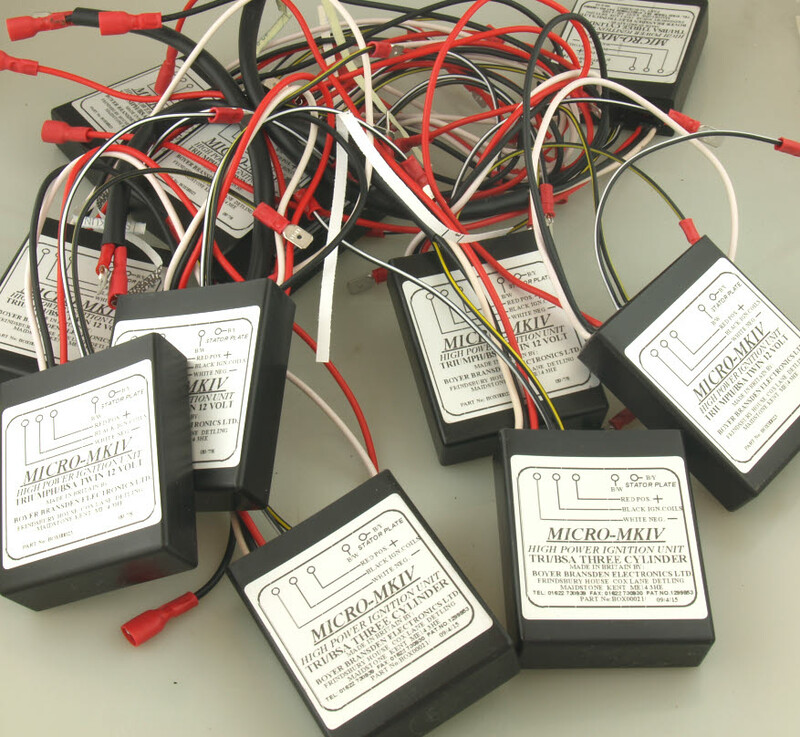 Boyer systems use quite a bit of power, so the battery must in good condition. The only thing that kills an amplifier (very rare) is an overcharging alternator with a bad zener diode. 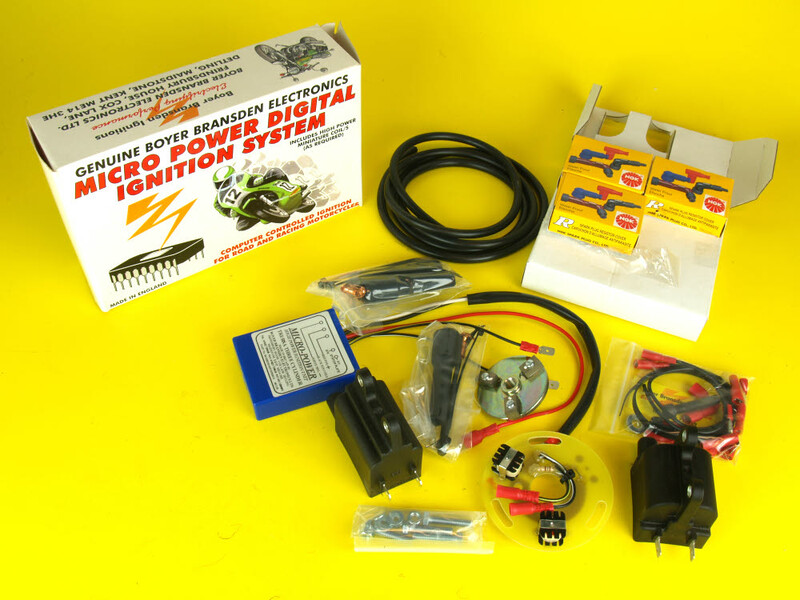 Complete digital system for all BSA and Triumph triples. 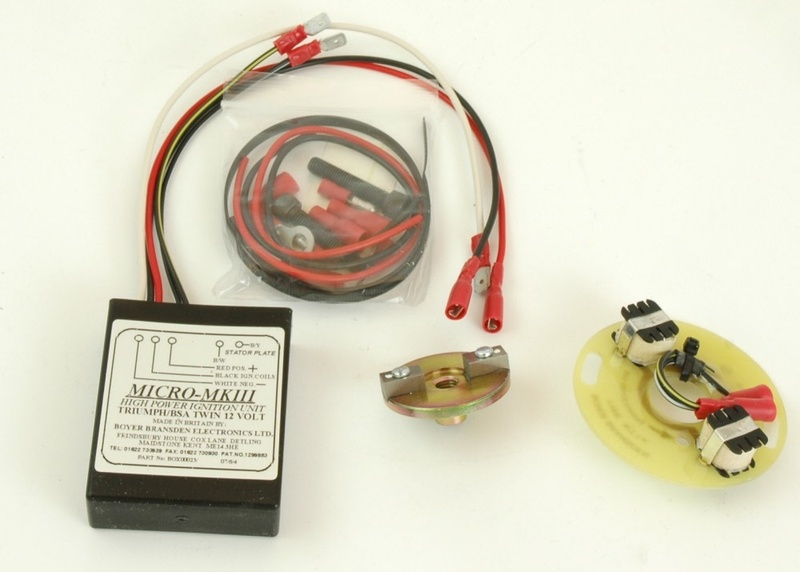 Includes special PVL coils, plug cables and caps. Works on bikes with an alternator, but without a battery. Digitally controlled advance and retard. The classic Boyer ignition. Simple and reliable. Requires 2x 6Volts coils. Replaces the points, advance unit and condensors. Fits all Norton twins with side mounted points. Also Atlas and SS with points in a mushroom ignition. The classic Boyer ignition. Simple and reliable. Requires 2x 6Volts coils (or a 12V Harley/Citroen type dual coil). Replaces the points, advance unit and condensors. Fits all Triumph twins with side mounted points.